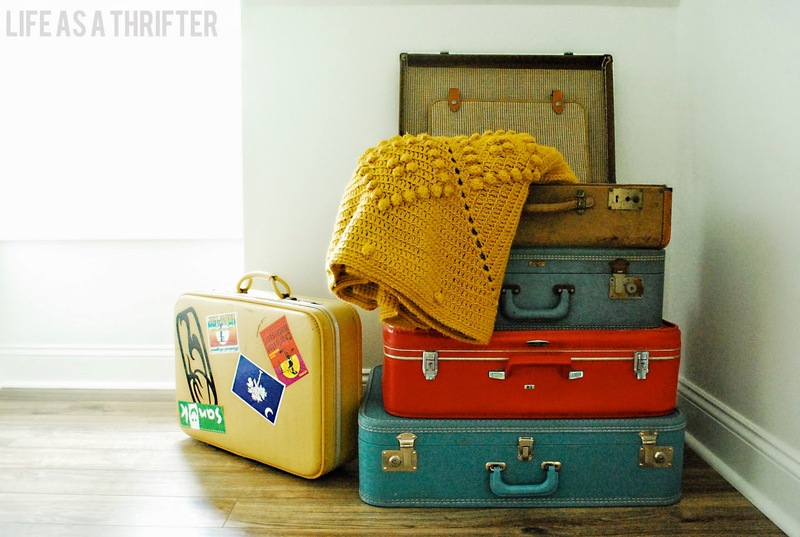 Life as a Thrifter: ANOTHER Afghan? Please tell me how I could have walked away from it? But, I'll find a spot. I would have picked it up too!! I actually bought about 10 mason jars (I think)...they were .75¢ Did I need them??? Probably not!! But hey, I've got 10 new mason Jars!!! I like that afghan. I think it was a good find. Thanks! I'll admit, I'm pretty excited! 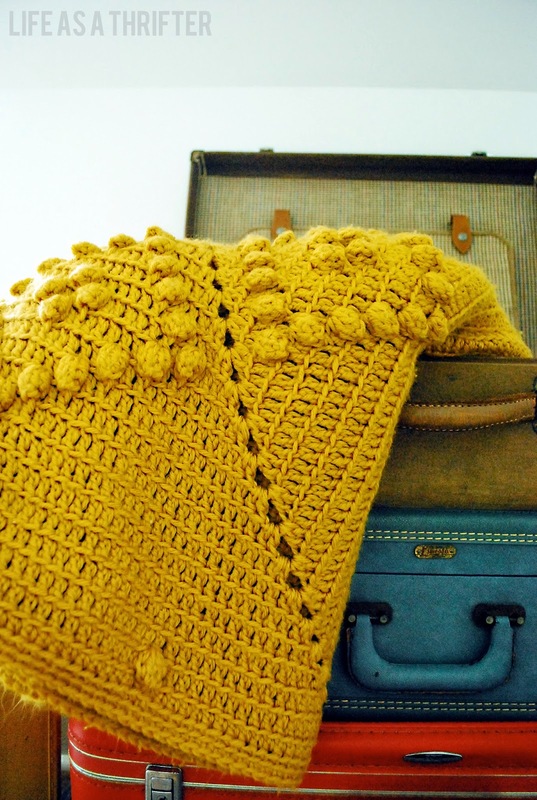 Love that crocheted blanket! Good find. My problem is that I run out of room for all of the cool stuff that I find and something eventually has to be given away or marital strife happens. hahaha! I'm getting there...I'm getting there! What a sweet find, any extras could be given to the Veterens Hospitals,the homeless,or Nursing homes. I like that its hand crafted. So true! What a great idea! Wow. You would have hated yourself - absolutely hated yourself - had you left it in the thrift store. I support your weakness. It's lovely. Popcorn stitch? not-seen-very-often golden yellow? nice crochet work? Hell to the yeah. Good find! hahaha! I wish I knew more about crocheting...but seeing as how I can find them LOADS cheaper at a thrift store than even making them myself...I'll probably never learn a thing.